About Brother André Marie, M.I.C.M. ~ Seeking that which was lost… and fighting for it. Imagine that you are thrust into the most captivating film plot about the end of the world. Reality as it is portrayed in the most special-effects-ridden movie Hollywood can make, complete with a Hans Zimmer musical score, suddenly and inescapably absorbs you. Good and evil are in a war for ultimate dominion, and you — yes, you! — are decidedly hand picked to join the incongruous rag-tag army that will save humanity from the Ultimate Evil. Cards on the table. I am not trying my hand at fiction writing. This is an effort to harness the energy of literary or cinematographic fascination into convictions that will lead to an effective Catholic apostolate. Traveling around in our rented car in California recently, it was hard not to notice the innumerable signs for the new movie, Terminator Salvation. This is not a film I’ll ever see, but I have managed to garner the general plot line of the whole Terminator series. I recognize it as an apocalypse, that is, part of a genre which explores an “end-of-the-world” scenario. While the Greek word apokálypsis means “revelation” (hence the two different names for the New Testament’s last book), the word has taken on the quality of a revelation specifically concerning the end times. In Christianity, we call this study of the four last things and the consummation of the world, “eschatology.” Outside of Christianity, there are various end-times beliefs, and a secular literature of apocalypse has endured, more or less paralleling or allegorizing the inspired version. Much of this secular apocalyptic literature falls into the genres of Science Fiction or Fantasy. Its power is unquestionably great. I recall as a teenager seeing an apocalyptic film based on what I now recognize as Kabbalistic eschatology, and weaving in a character who was supposed to be Our Lord, though in a much Judaized-Arianized version. As much as I hate to admit it, my friends and I were riveted to this junk, so fascinating did we find it in our immaturity. Like this film, whose name I gratefully cannot remember, much of the genre is crass and foolish, having the power to titillate one’s morbid curiosity, but lacking a real ability to captivate the intellect. Still, its attraction is undeniable. Contemporary films in the apocalyptic genre seem to be based on a few common themes. Among them is a mass extermination of the human race by an alien invasion, virus (accidentally or deliberately spread), or, as in the case of the Terminator saga, a computer technology that has come of age, deciding to do away with its human inventors. The motives of the antagonists are generally world dominion for some other race, eco-terrorism, or the need to move from an unpleasant mother planet. Besides this, time travel, medical and military ethics, mental disease, mob dynamics, the psychology of panic, and the proper use of technology are common themes underlying the plot. I would like to propose that we Christians believe in a world view that incorporates many of these plots and themes, once they are stripped of their purely fantastic elements. Virtue, vice, angels, demons, heaven, hell, redemption, a conquering King and a peerless Queen: This is the stuff of real drama. And life is more adventurous than fiction, inasmuch as the stakes are higher. We live daily the ultimate drama of good and evil. The plot into which we are all thrust is the battle spoken of in Genesis 3:15, wherein the Woman and Her Seed do battle with the serpent and his seed. There is no remaining neutral; we must be in one camp or the other, and Judgment Day will reveal who was on which side. If I can appeal to your imaginations a bit longer, I would like to explore one common movie theme in light of the faith. We can call it the “body-snatcher” theme. Invasion of the Body Snatchers perhaps debuted it, but there are now manifold variations on the motif. Here, the aliens (or some other dread foe) take over the bodies of the unfortunate earthlings. Variations would include the spreading of a disease that morphs humanity into something else, or kills it outright. However the body hijacking theme is expressed, the common element is that a few people — the story’s protagonists — are spared, and are desperately trying to save humanity. Their quest will be to find the cure for the otherwise doomed race, while dodging the wily malefactor’s ubiquitous snares. Sometimes these come by way of infected former friends, who are now working for the enemy. Now, the aliens and viruses we deal with in the real-life drama are analogous ones. The invaders are, of course, the world, the flesh, and the devil. They besieged Eden at the dawn of our race, and they are still working against us. The viruses are sin and vice in all their myriad forms, apostasy or other defections from the Faith being among the more striking examples. When someone is “snatched,” he becomes an agent of the adversary, and works to spread his condition among those with whom he comes in contact. Still, this willing accomplice is not the real enemy. His overlords are. “For our wrestling is not against flesh and blood; but against principalities and power, against the rulers of the world of this darkness, against the spirits of wickedness in the high places” (Eph. 6:12). Today especially, the body-snatcher motif is evidenced all around us. Modernity, with its enervating cults of consumerism and media hype, turns people into effete, corpulent drones subject to subtle manipulation by the oligarchy. Dissipated in the passions, distracted in the intellect, and weakened in the will, our race is ravaged by the alien pathogen, giving the primeval enemy ever increasing power over us. But all is not darkness. Those who have been snatched can be changed; there is a cure. It is grace, merited for us by Jesus and mediated to us through the Blessed Virgin. It is ministered to us by the priest in the sacraments, but also by anyone who helps us to know and do the good. These are the members of that incongruous rag-tag army that will save humanity, to whom Our Lord says, “Fear not, little flock, for it hath pleased your Father to give you a kingdom” (Luke 12:32). But a serious commitment to virtue is necessary for the would-be protagonist, for he will be tried: “Son, when thou comest to the service of God, stand in justice and in fear, and prepare thy soul for temptation” (Ecclus. 2:1). If you would like to be one of the good guys trying to “unsnatch” your friends, I suggest that you consider the Little Way of an Apostle. As a final note, let me say that, while there are good films worth watching, they are few and far between. Today’s Hollywood productions are rarely without gross immorality. Books are better. A suggestion for a good volume in the apocalyptic genre is Monsignor Robert Hugh Benson’s The Lord of the World. For further reflections on Sci-Fi and Fantasy from a Catholic perspective, I recommend Charles Coulombe’s Literature of Wonder. Listen to the CRUSADE CHANNEL of the Veritas Radio Network now! CLICK HERE FOR THE LIVE (LOW BANDWIDTH) FEED. HOW DO I LISTEN TO RECONQUEST? Then click here, or on the image, above, to sign up for the «AD REM», my fortnightly newsletter. You can also get our bookstore notices, too. View previous issues of «AD REM». Choose Real Estate for Life and Help This Apostolate. Click on the image below! To Our Lord Jesus Christ the King, one of the Holy Trinity, who has supreme dominion over all creation. To the Holy Virgin Mary, the Mother of God, and our Queen and Mistress. To Saint Joseph the Betrothed, Patron and Protector of the Universal Church, and model of Christian manhood. Saint Augustine Institute of Wisdom Learn the Catholic Faith! 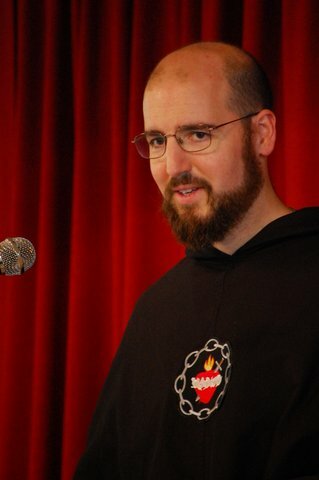 National Catholic Register, Edward Pentin: “I asked Jesus — and I really believe he is present in these hosts — to fight the flames and preserve the building dedicated to his mother.” See article here. 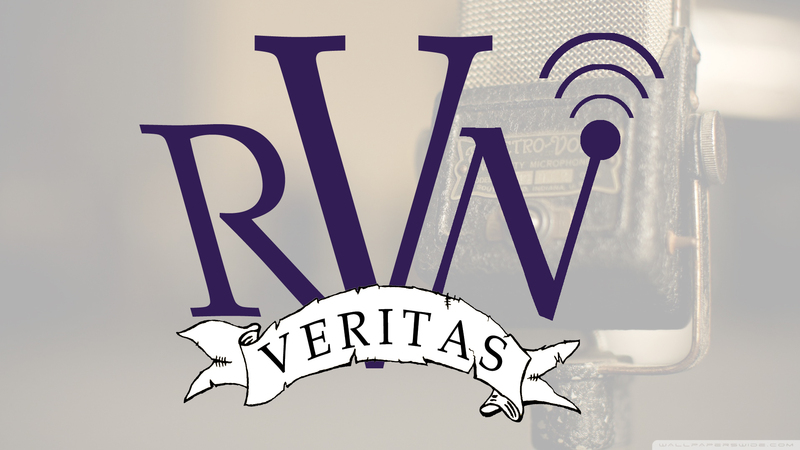 Listen to the Veritas Radio Network Now!